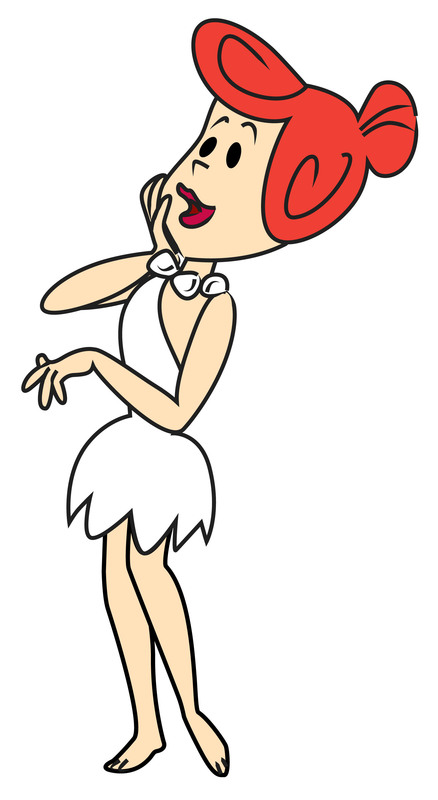 Wilma Flintstone is a protagonist of the animated sitcom The Flintstones. 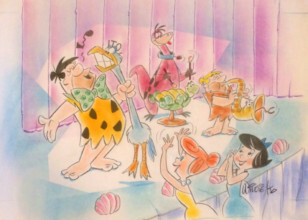 Wilma is the wife of Fred Flintstone and the mother of Pebbles Flintstone. Her best friends are her next door neighbors, Betty and Barney Rubble. 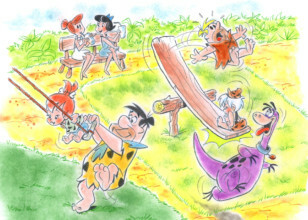 Wilma lives in the fictional Stone Age town of Bedrock, a world where dinosaurs and other prehistoric animals coexist with modernized cave-people who enjoy primitive versions of modern conveniences and technology such as telephones, automobiles and washing machines. 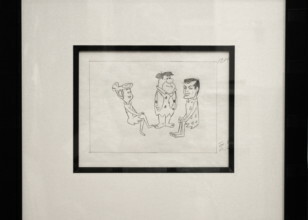 Just like how Fred Flintstone's personality is based off of Ralph Kramden of The Honeymooners, Wilma's personality is based off of Ralph's level-headed, strong-willed wife Alice Kramden. 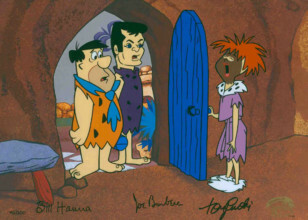 Wilma is often the long suffering, patient and level-headed side of the marriage, often criticizing Fred's bone-headed schemes and bailing him out whenever he gets into trouble. As a young adult, Wilma worked alongside her best friend Betty as a cigarette girl/waitress resort, where they met their future husbands Fred and Barney, who were working as bellhops. 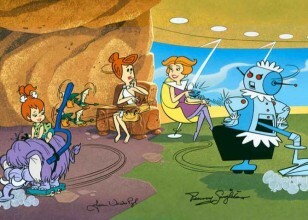 After Wilma and Fred married, Wilma became a homemaker, keeping house with a myriad of prehistoric technology, such as a baby mammoth vacuum cleaner, a pelican washing machine, etc. She is also a very good cook, enjoys volunteering for various Bedrock charity organizations and is most especially fond of shopping. 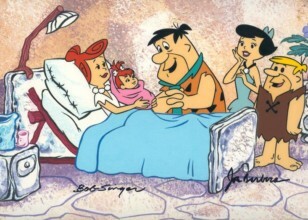 In the original series' third season, Wilma becomes pregnant and gives birth to her daughter, Pebbles. While generally a foil to Fred and his bad behavior, Wilma is not above flaws herself. She and her best friend Betty Rubble can rack up enormous bills on the family's charge accounts or recklessly spend the family's money. She will also occasionally plot acts of revenge on their oafish husbands for particularly bad actions. She and Fred argue often because of each other's poor behavior and Wilma is not above physically assaulting Fred in particularly bad cases (for comedy, of course). Overall however, Wilma is the more responsible, sensible of the two.